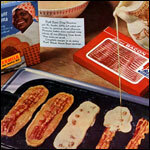 *If you don't have Bisquick on hand, try this proven pancake recipe. 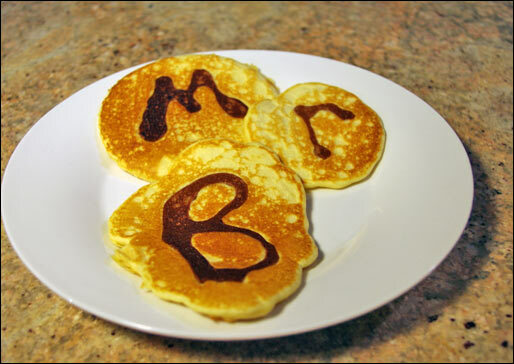 Just make the batter and come back to create initials as directed here. "When bottom side of initial is brown, pour about 1/4 cup batter over initial. Turn when bubbles appear. Bake other side until golden brown. About 18 pancakes." "Western parties are fun for big or little boys. If you can, arrange to rent or borrow a horse or pony and give rides. If not, start with active, outdoor games and relays. 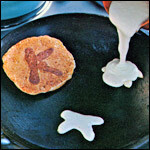 When everyone's hungry, each cowboy can put his own special brand on Branded Pancakes." 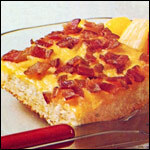 To take this recipe one step further, dollop 1/4 of the pancake batter in a separate bowl. Add just enough cocoa powder to make the batter brown (about 3/4 teaspoon per 1/2 cup batter). If desired, add 1 Tablespoon of strawberry jam or a generous sprinkle of cinnamon and sugar. Stir to combine. 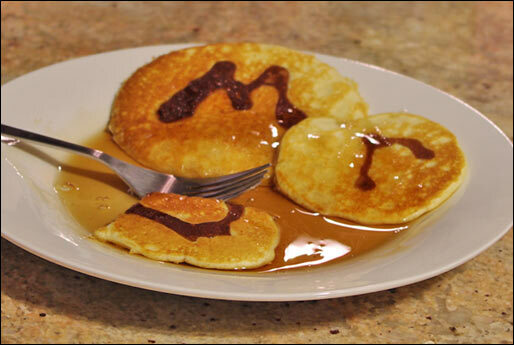 Use this batter to create initials and the lighter batter for the pancake. 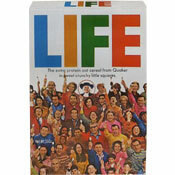 Now your branded initials are darker and more pronounced plus you get a bonus burst of flavor. 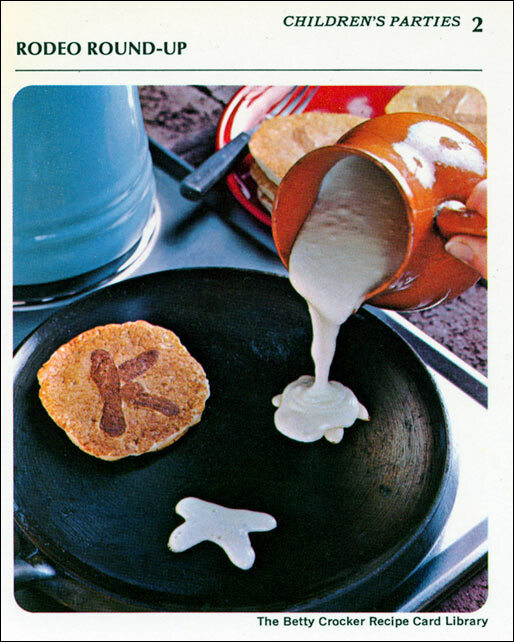 A super fun idea from a 1971 Betty Crocker Recipe Card. 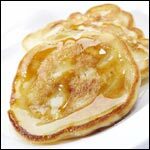 If you have pancake batter and a spoon, you have all you need to make pancakes any little cowboy or cowgirl will love. 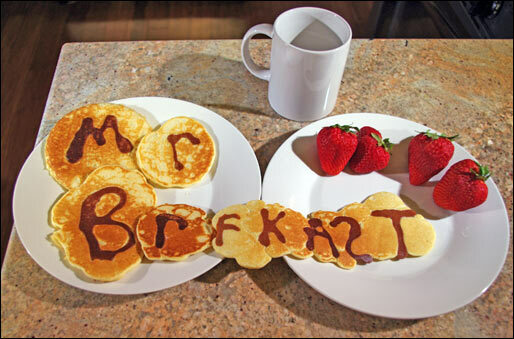 What do you think of Branded Pancakes?